And you thought your town was pricey. Home prices for US, Canada, UK and Australia (1980-). 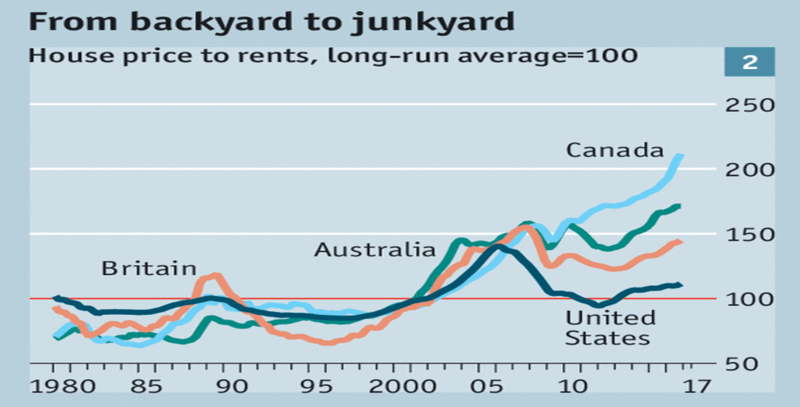 Home prices in Canada & Australia were not impacted by the 2008 recession and that has given them a big boost, much more than in US where the home prices have bounced above the pre-crisis high. Comparison of Home prices in Britain, Canada, Australia and US normalized to their 1980 prices. Disclaimer: Written with heavy dose of coffee :). Let Amazon pay for my coffee, make your next Amazon purchase by going through the links here (Amazon pays small fraction of any purchase you make through this page within 24 hours).